Our March Madness Corn Hole fundraiser for the Southern Regional Police Department K9 unit will be wrapping up on Monday, April 8th. We are having a banner year and lots of fun. 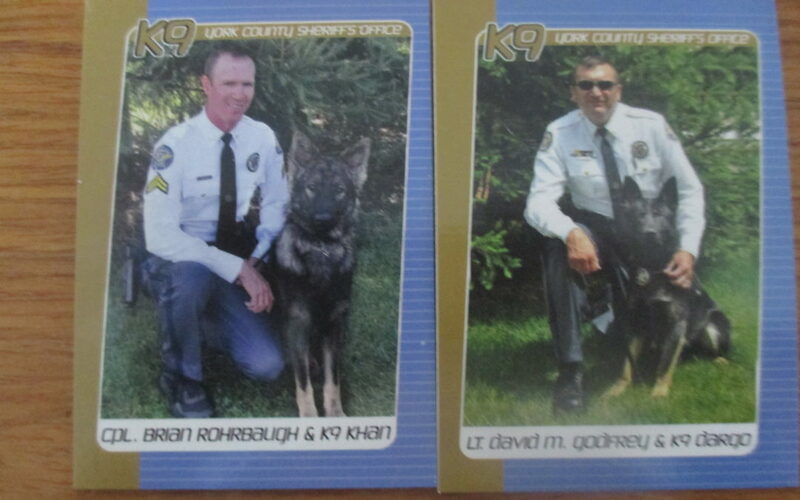 Our photo features 2 of the K9s and their handlers from the York County Sheriff’s office: Corporal Brian Rohrbaugh & 2 year old K9 Khan and Lt. David Godfrey & 7 year old K9 Dargo. The handlers and dogs are available for very informative presentations and demonstrations (Sheriff’s office #717-771-9601). We’re hoping to add a K9 to the SRPD.